Today we have the enjoyment of sharing with you a brand development project that has been in progress for a few months. 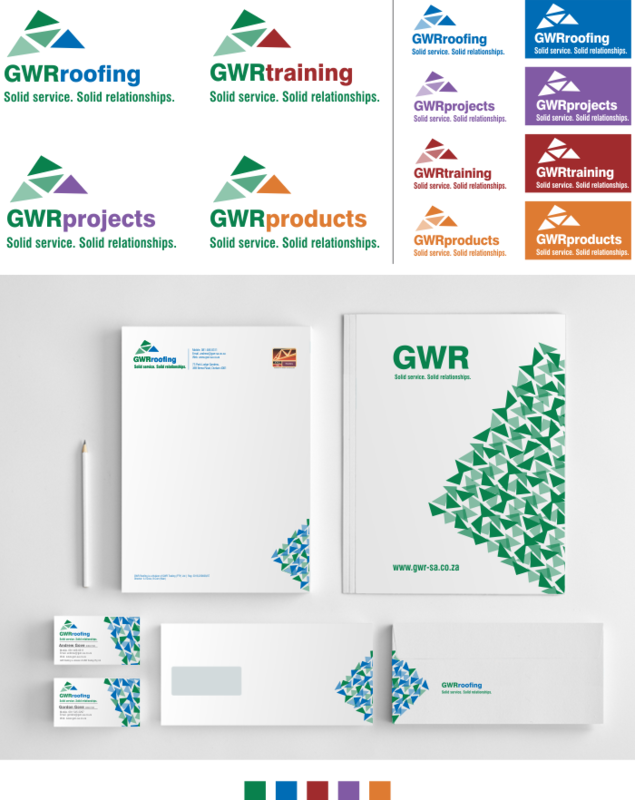 It is for a roofing company, GWR Roofing, incorporating 4 divisions: Roofing, Projects, Training and Products. The client wanted their primary colour to be a mid green, with a different colour for each of the 4 divisions. They wanted something very simple but abstract which would allow for 4 variations for each of the divisions. So, we worked with triangles, being the most predominant, recognisable roofing shape. The final logo is a segmented triangle made up of 4 smaller triangles representing the 4 divisions in the shape of a roof 'coming together'. Their palette colours are striking and allow shades of each for variation in their marketing material. 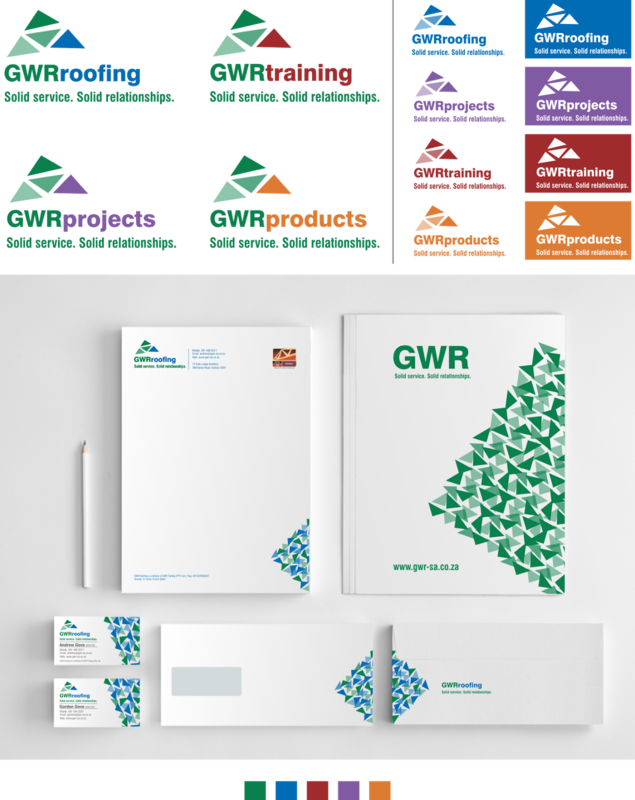 In addition, we have also designed some stationery including business cards, a letterhead and email signatures for the Roofing division, and a generic folder in green to be used for all divisions. You can see the logos for each division below as well as the stationery items. Website coming soon.